For those who don´t know, the Golden Circle is a well trodden tourist route covering the Thingvellir National Park, the waterfall Gullfoss and the valley of Haukadalur which boasts the geysers Geysir and Strokkur. Actually, there is nothing wrong with the golden circle. There is just so much more to Iceland. But if you ever go to Iceland there is one tourist trap you must allow yourself to fall into. That place is Jökulsárlón (Literally “Glacial River Lagoon”) in the South East of Iceland. In spite of the crowds that gather there during the summer it is a truly magical (I don´t have another word in my limited vocabulary to describe it). Whenever I visit the South of Iceland I get the urge of drive out there even if it takes some 4-5 hours of non-stop driving just to get there. Mt. Lómagnúpur – the home of the legendary “Giant of the South” featured in Iceland´s coat of arms. The drive from Reykjavik is actually pretty cool. If you are lucky you will catch a glimpse of the Westmann islands a short drive from Reykjavik. The drive will take you through fertile farmland beneath the Eyjafjöll mountain range (OK – it´s more of a hill range :), past Eyjafjallajokull and the monstrous volcano Katla in the Myrdalsjokull glacier. Make sure you stop at the coolest beach in Iceland, Reynisfjara beach which fetures the famous Reynisdrangar basalt sea stacks. This is just west of the village of Vík. 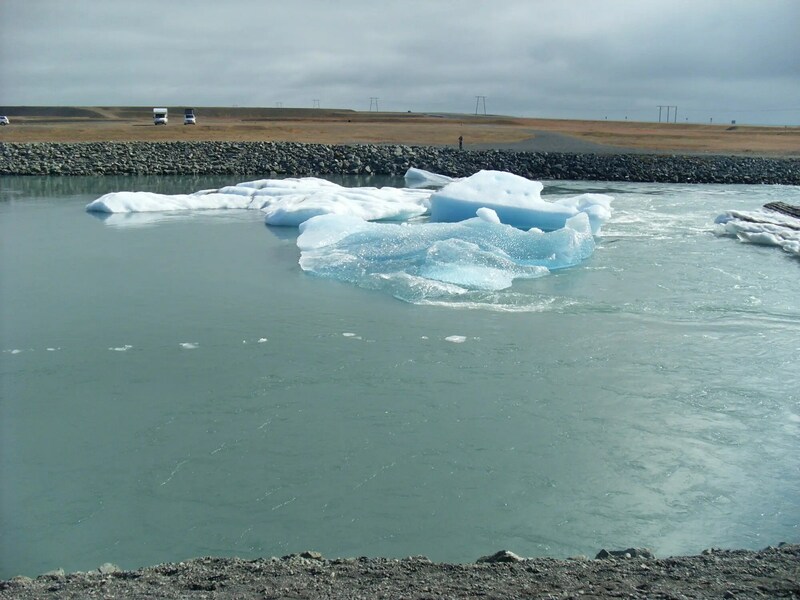 Then you reach the Vatnajokull glacier and you cross the huge and volatile glacial rivers that flow from the Vatnajokull. One place to stop at is the picturesque Skaftafell National Park. At this point the landscape is a desolate wasteland ravaged by the cruel glacier to the north. On the way you will drive past one of my favorite mountains which is Lómagnúpur which sits south of the Vatnajokull. It´s legendary inhabitant is the Giant of the South which is featured in Icleand´s coat of arms. 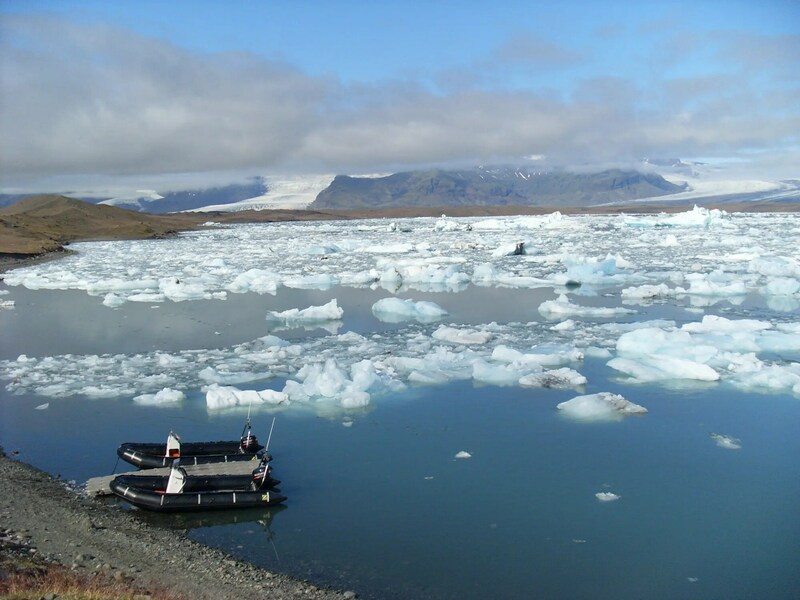 You can go on the Jökulsárlón lagoon on zodiacs or wheeled boats. Anyway, so finally you get to the lagoon. You don´t see it until you pull up to the parking lot. Then, the stunning vista of massive icebergs is floating around in the frigid lagoon is revealed. 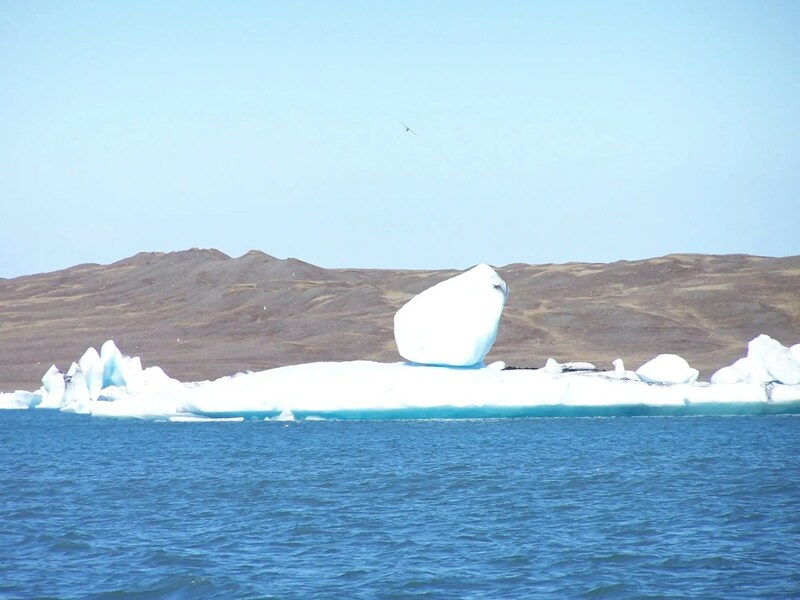 The size of the icebergs is difficult to convey in a blog post, some of them are the size of apartment blocks. 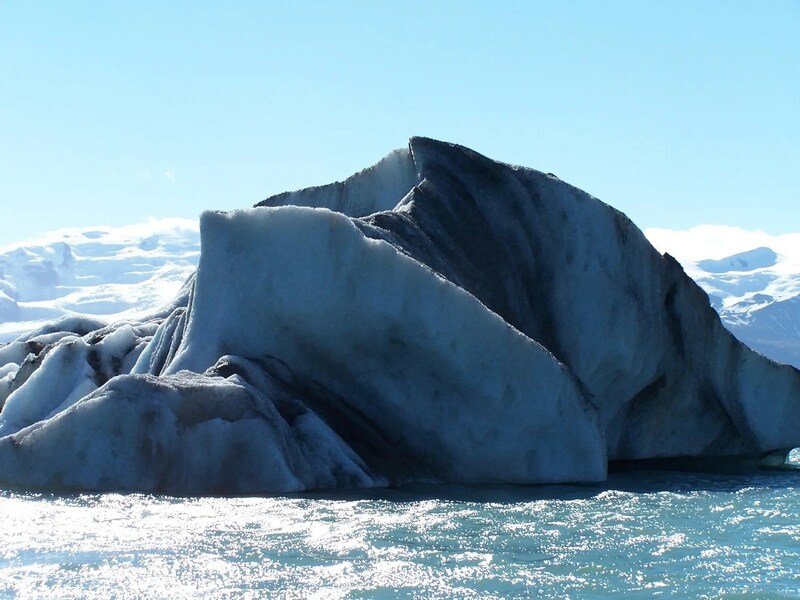 The variety of the shapes of the icebergs is also mind boggling. Some look like cathedrals, others looks like houses and I can tell you I have seen a few dinosaurs and the creature from Cloverfield there. And in the background looms the massive Breidamerkurjökull glacier which sticks out of the Vatnajokull glacier like a tongue and feeds into the lagoon. 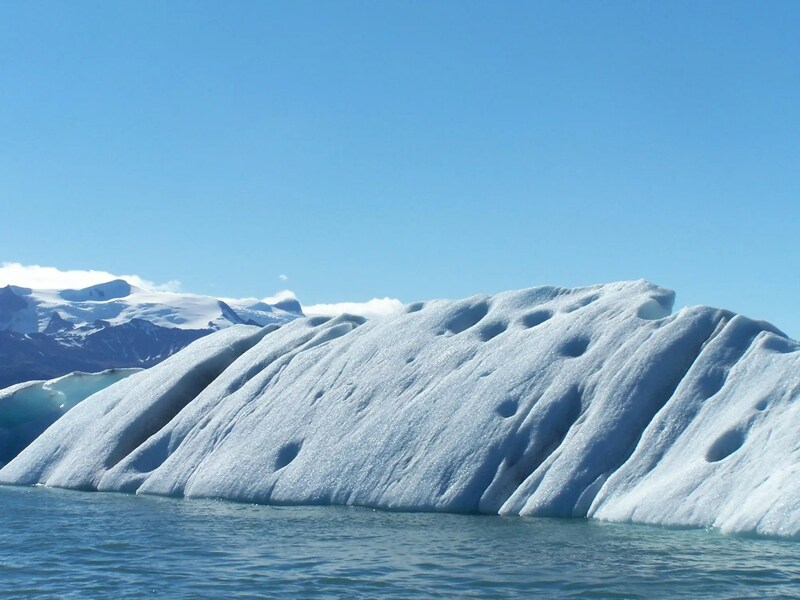 Occasionally a cracking noise rings out when icebergs break off from the glacier. It sounds like distant artillery fire. No wonder this place has been in featured in several Hollywood movies and countless TV ads. 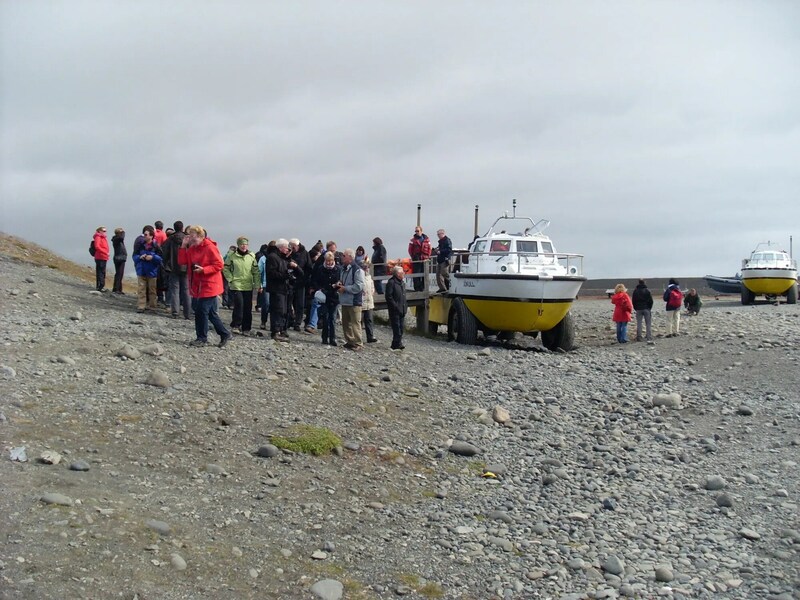 Tour operators offer boat tours, either on zodiac boats or big amphibious “wheeled boats” Getting on a boat trip on the lagoon is totally worth it, especially if you are looking to get great photographs. 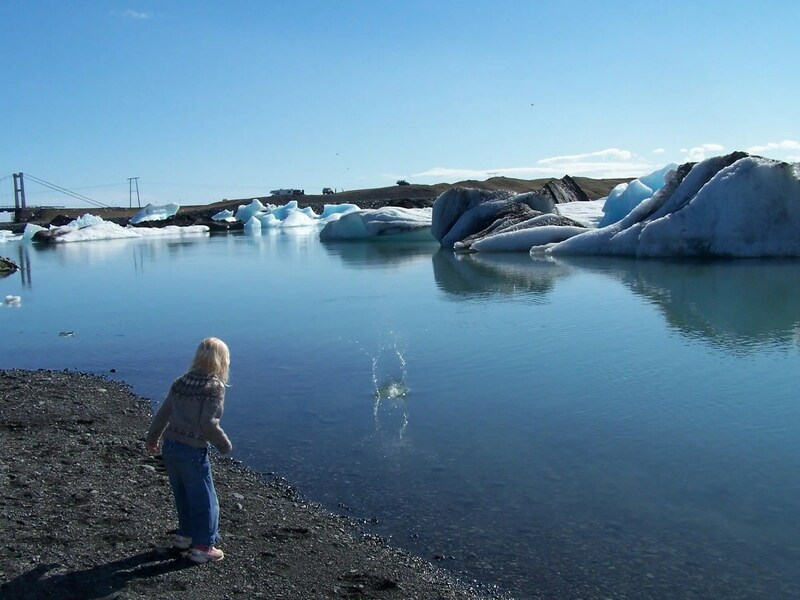 Little girl and and a massive glacial lagoon. Talking of great photographs, make sure you go down to the beach accross the road where the short river from the lagoon meets the sea. Tourists embark upon a sight seeing tours on wheeled boats that are driven in to the lagoon. By the way, that short river is the shortest river in Iceland! 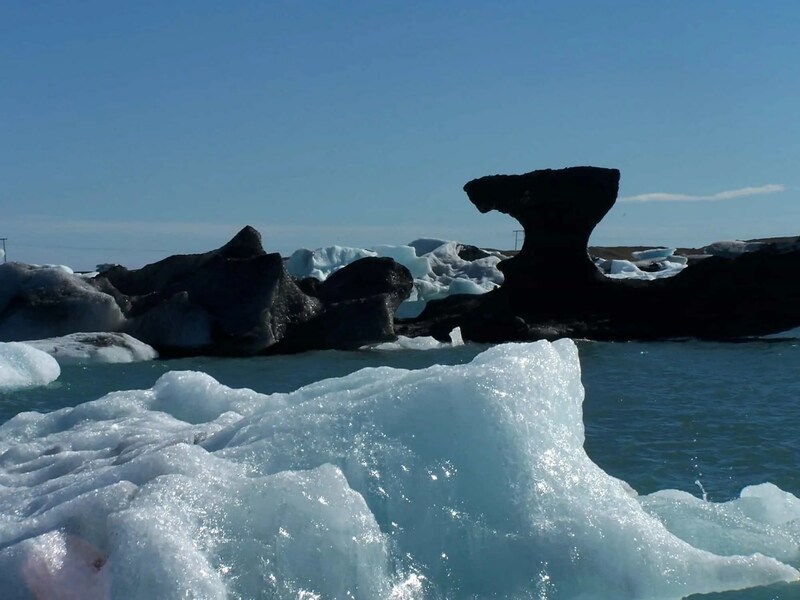 Icebergs drift down the small river that runs from the lagoon to the Atlantic ocean. Stranded icebergs make for great motives and there is just something awesome experiencing the waves of the North Atlantic crashing on the beach with those icebergs floating around. 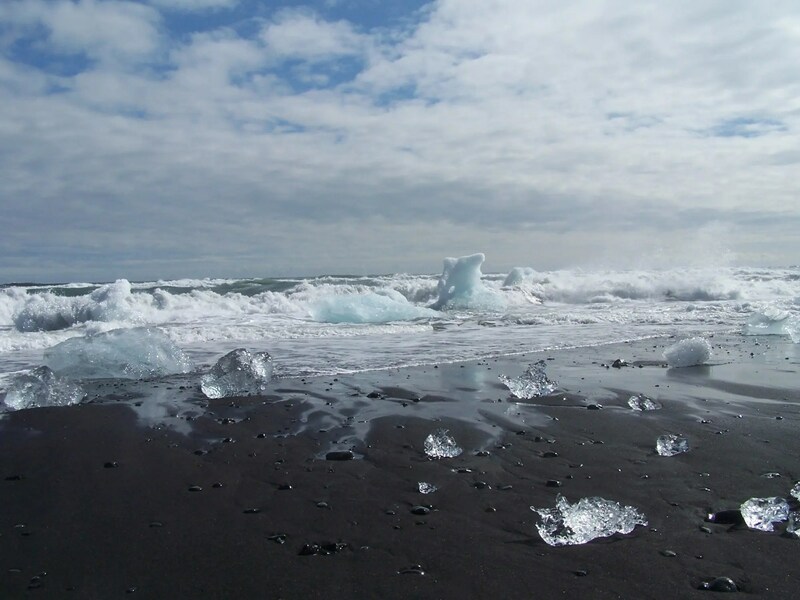 The waves of the North Atlantic hurl icebergs on to the south of the Jökulsárlón beach. I also love the bridge across the river. When you cross it, you get the feeling you are truly on your way to the edge of the world. Well, you are just heading to the East of Iceland but you will know what I mean when you get there. 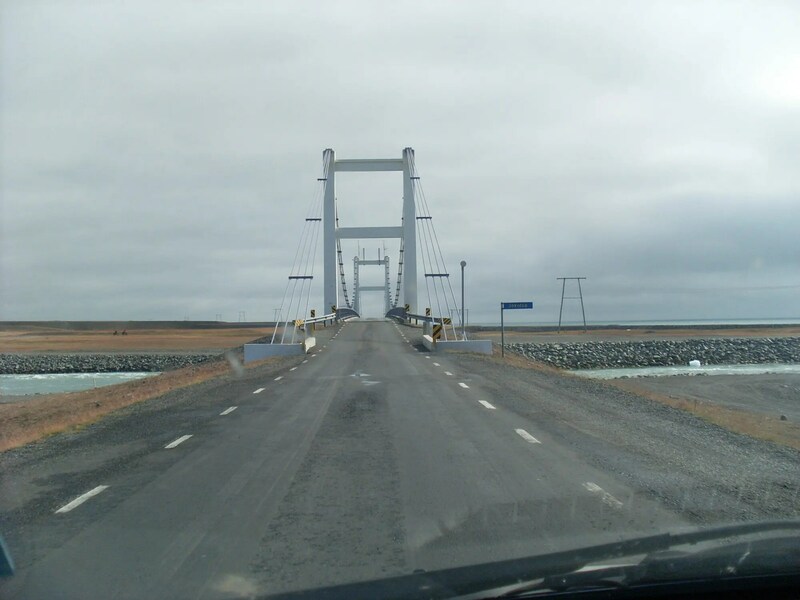 The bridge on the edge of Iceland. If global climate change persists it will have to be replaced sooner than you might think. So why do you call it “Ground Zero for Global Climate Change? 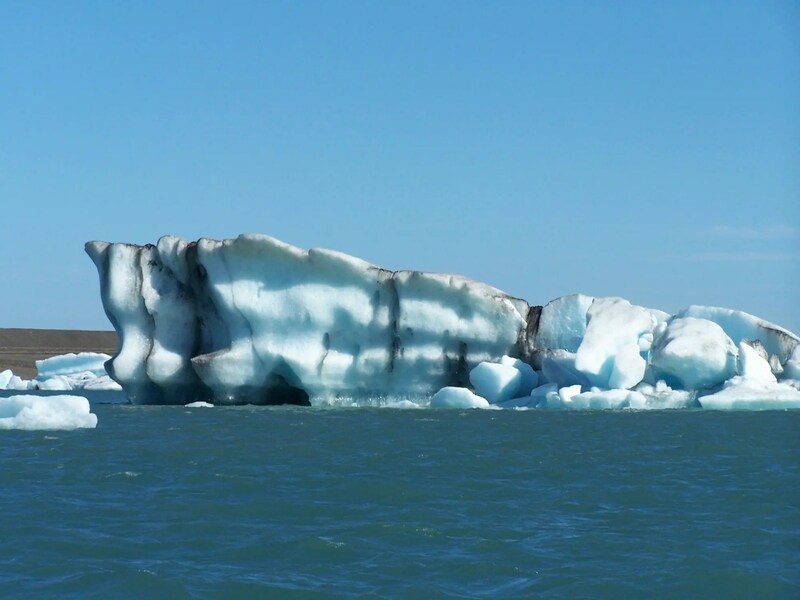 So yes, Jökulsárlón is a fantastic place to visit, the drive there is not that bad either, the icebergs look really cool, you can take a lot of great pictures, you get to go on a boat ride if you want to, you can buy waffles and souvenirs at the coffee shop and bla bla. But that isn´t the real significance of this place. You see, this lagoon didn´t really exist until the nineteen forties when the climate started to get warmer and the lagoon has been increasing in size pretty fast since then. 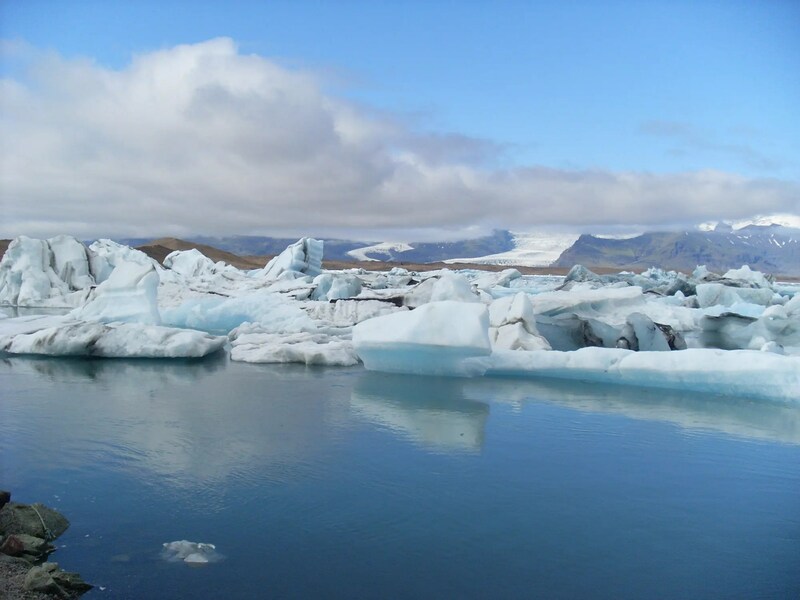 When the first settlers arrived in the 9th century (or earlier) the climate was a lot warmer and Vatnajokull glacier was a lot smaller than it is today. 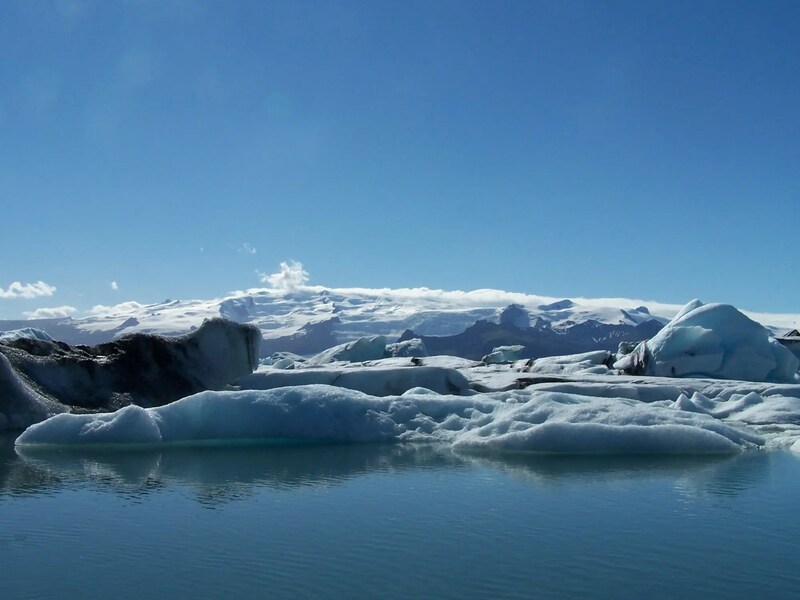 For example, Breidamerkjökull glacier was about 20KM further north from it´s current location. Like a giant egg laid by some monstrous bird. 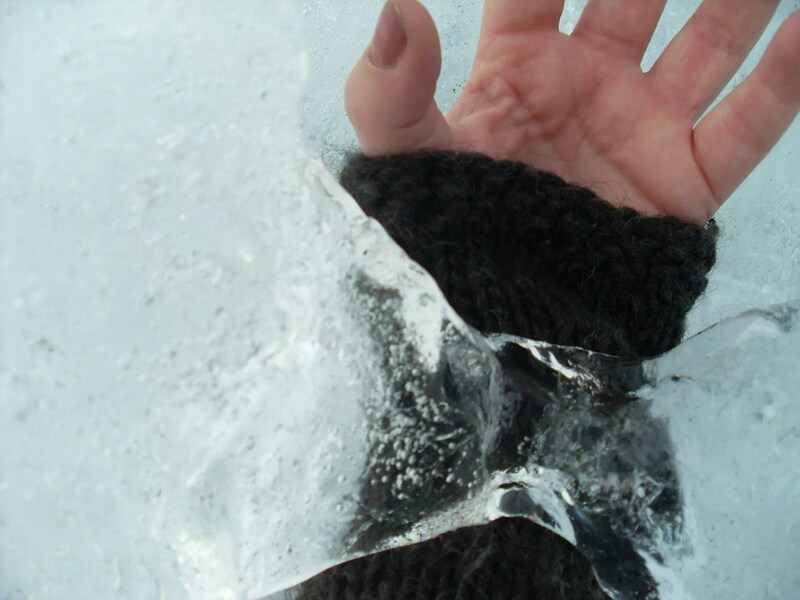 However, disaster struck Iceland in the 16th century in the form of an onset of a the so called mini ice-age which lasted for some three hundred years. This meant that glaciers advanced, ravaging their neighbourhood. Famine, bitter cold and disease was the lot of the Icelandic people. Breidamerkurjokull reached the edge of the sea. Massive iceberg. As you all should know, most of it is below the waterline. But it has gotten a lot warmer since then and the lagoon is a perfect bellwether for the climate change we are experiencing. In 1975 the lagoon was about 8km2 but it is currently nine time larger (18km2). Purity and beauty is on display. But the lagoon´s very existence and enlargement indicates how fast the climate is changing globally. This has happened in less than forty years. Something to think about when you visit this really cool place at the edge of Iceland. One day it will be a large fjord. And we will have a build a lot bigger bridge. You can spend a day marvelling at the icebergs and their beauty. 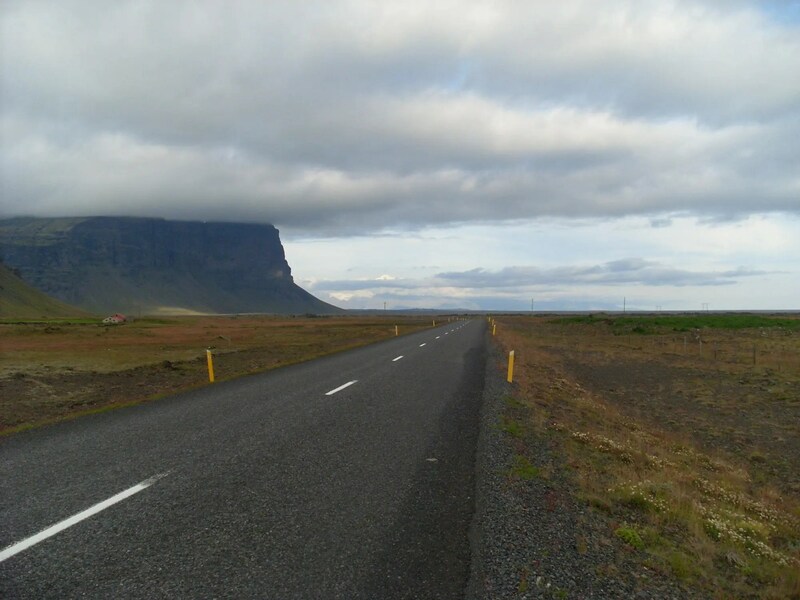 Just drive on Highway 1 and head due east from Reykjavik. It is the ultimate road trip in Iceland.